Curiosity: They want to know what it feels like to be drunk, intoxicated, or high. Peer pressure: Their friends are doing it or pressuring them to do the same. Acceptance: Their parents or role models are doing it and they want to feel accepted by those they look up to. Defiance: They want to rebel against rules placed on them. Risk-taking behaviors: They want to send out a call for help. Thrill-seeking activities: They want to experience something other than numbness. Boredom: They feel there is nothing else to do, and trying drugs or alcohol gives them a feeling of excitement. Independence: They want to make their own decisions and assert their own independence. Pleasure: They want to feel good. Teens are dealing with a heavy mix of emotions, and drugs can help numb any pain and make them feel better even when times are tough. Not wanting to be made fun of. Not wanting to lose a friend. Not wanting to hurt someone’s feelings. The desire to appear grown up. The desire to appear in control. Not having a clear picture of what they want. Not understanding how to avoid or handle a situation. Parental examples of using drugs and alcohol can be even more traumatic than peer pressure. Parents are role models, whether or not they choose to be, and while few mothers and fathers hand their children illicit substances, many make statements and take actions that insinuate using drugs is the grown-up thing to do. Manufacturing, selling, possessing, or taking drugs can send the message that drugs and alcohol are okay. Some parents try to hide their stash or use only when their children are not around. But many times the effect is virtually the same as if they had become high or drunk out in the open. On the other hand, drinking is something that isn’t often hidden. A couple of beers or a few glasses of wine are socially acceptable for adults. And while a few drinks may not cause any harm to the parent or child, they can send a loud message to the teenager that it is perfectly normal, peaking a teen’s curiosity. Kids inevitably find out about the highs of drugs or alcohol and may experiment with them in an effort to achieve those highs. Teenagers living with parents who use alcohol or drugs may have direct access to substances kept in the home. If this becomes problematic, seek out help from a trained professional. It is important that those working in teen drug and alcohol use prevention work to spread the word about the consequences of drug use, such as cognitive impairments, the dangers of driving under the influence, developing physical dependence and addiction, as well as social and legal problems. Medically assisted detox facilities: Detox centers help teens slowly taper off drugs and help ease the symptoms of withdrawal. Individual or group counseling: Addresses the psychological issues related to addiction, as well as helps implement new, healthier behaviors and coping strategies for dealing with stress. 12-step programs: 12-step programs are a form of support group that provide a structured path toward recovery in the form of the 12 steps. There are many 12-step groups designed specifically for adolescents and teens struggling with addiction. Inpatient rehabilitation: Inpatient treatment takes place in a residential facility for a period typically ranging from 30 to 90 days—sometimes longer in more severe cases. Treatment usually includes some combination of detox, counseling, therapy, support groups, 12-step programs, medication maintenance, and in some cases, alternative therapies. Outpatient rehabilitation: Outpatient treatment usually consists of the same treatment modalities as inpatient rehabs, except treatment takes place on a part-time basis while the patient continues to live in their home, and may still work and go to school during treatment. Dual diagnosis: Dual diagnosis addresses and treats the addiction itself, as well as any co-occurring mental health disorders teens may face. This includes anxiety, ADHD, obsessive-compulsive disorder, and depression. Teen rehab: There are many inpatient and outpatient rehabilitation centers that are designed exclusively for teens. There are also recovery high schools where teens can go to high school and earn their diploma, while simultaneously working on their recovery from drug addiction or alcoholism. National Institute on Drug Abuse. (2016). DrugFacts: High School and Youth Trends. NIDA for Teens: National Institute on Drug Abuse for Teens. (2012). Why Does Peer Pressure Influence Teens to Try Drugs? Drug Enforcement Administration. (2008). Drug Prevention 4 Teens: A Drug Abuse Prevention Guide for Teens. Grube, J.W. (2004). 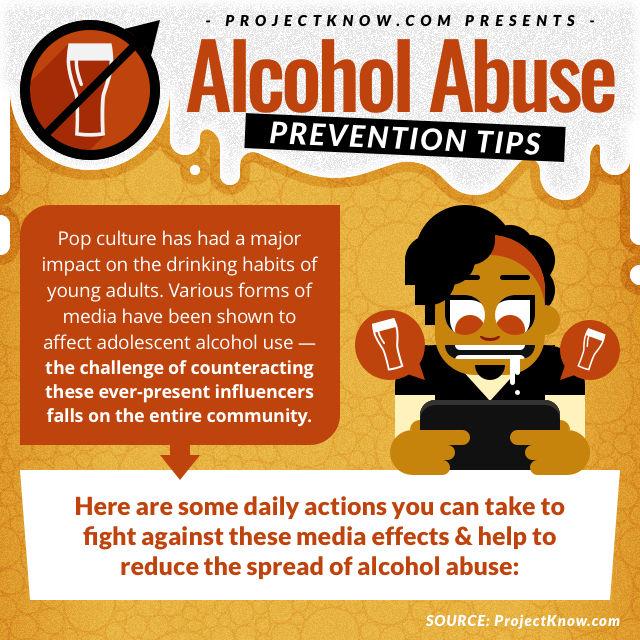 Alcohol in the Media: Drinking Portrayals, Alcohol Advertising, and Alcohol Consumption Among Youth. National Research Council (US) and Institute of Medicine (US) Committee on Developing a Strategy to Reduce and Prevent Underage Drinking. Washington, DC. National Institute on Drug Abuse. (2014). Social Media Can Influence Teens with Pro-Drug Messages. National Institute on Drug Abuse. (2012). Principles of Drug Addiction Treatment: A Research Based Guide. Evidence-Based Approaches to Drug Addiction Treatment.